SWPPP | Stormwater Pollution Prevention Plans | Stormwater Permits | Stormwater Training: Does Oil Sheen On Pond Need To Be Reported? What Is Sheen Rule? Does Oil Sheen On Pond Need To Be Reported? What Is Sheen Rule? · Discharges that cause a sludge or emulsion to be deposited beneath the surface of the water or on adjoining shorelines. 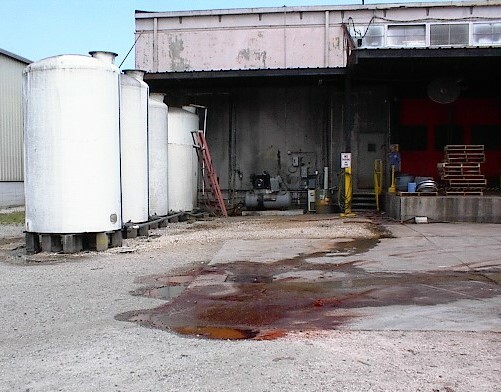 These reporting criteria are independent of local or State spill reporting requirements. Therefore, spills might be reportable even if State spill reporting thresholds are not exceeded. Because the Oil Pollution Act of 1990, which amended the Clean Water Act, broadly defines the term "oil," the sheen rule applies to both petroleum and non-petroleum oils and fats (e.g., vegetable oil, milk). The regulation also provides several exemptions from the notification requirements.